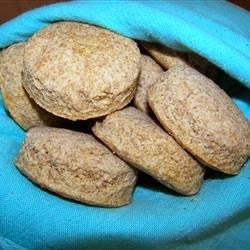 I have made these biscuits for health nuts and non healthy eaters alike, but there are never leftovers. These are heavier on account of the spelt flour, but the nutty whole grain flavor is divine. Best when served fresh out of the oven, eaten with butter and honey or jam.